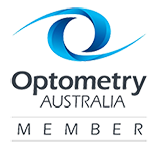 Focus Optometrists is your local optometrist in Sherwood, Graceville, Chelmer and Corinda, and provides quality eyewear and eyecare for the whole family. We have been in Sherwood for more than 20 years and provide thorough eye examinations, contact lenses and the latest prescription lenses, fashion frames and sunglasses. We are committed to using the latest techniques and equipment and providing high quality, personalised service. You need to have your eyes examined regularly. We do more than just check to see your prescription is correct. Focus Optometrists provide fashion spectacles, prescription and non-prescription sunglasses to suit every need. Tired of wearing glasses? Focus Optometrists can fit you with contact lenses to suit your eyes and lifestyle.